Now that back to school season is in full swing, weeknight dinners need to be something that doesn’t have me spending the whole night in the kitchen. Homework, sports, appointments, dinner, chores and church all need to fit into our new school schedule. I like to cook, but I don’t like to spend a lot of time on meal prep or cleaning, I’d rather spend time with the family! 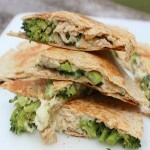 Turkey Broccoli Alfredo Quesadillas has all the right stuff I can feel good about serving to my family. 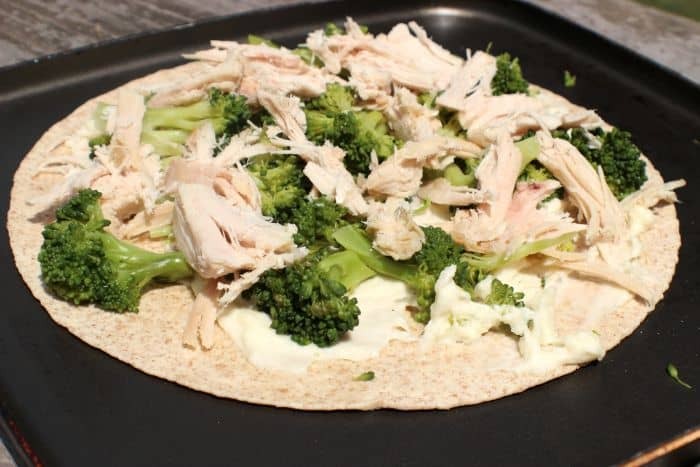 Shady Brook Farms turkey breast, whole grain tortillas, steamed broccoli and Alfredo sauce all rolled into one neat package! Well, not quite rolled but you’ll get the picture! It’s become a new Sunday evening tradition to prep ahead as many meals as possible for the upcoming week. I plan next weeks meals on Friday, shop for any ingredients needed on Saturday and cook the meat I need on Sunday. The Shady Brook Farms bone-in turkey breast, went in the oven right after church. It was cooked, cooled and picked from the bone to start the meal prep after supper in just under 3 hours. I just had to set it and forget about it! When you “pick” the turkey don’t forget to ditch the skin, you won’t need it and it already did it’s job while cooking. I am hooked on this Shady Brook Farms turkey. Their turkeys are raised without growth-promoting antibiotics. (Nice!) 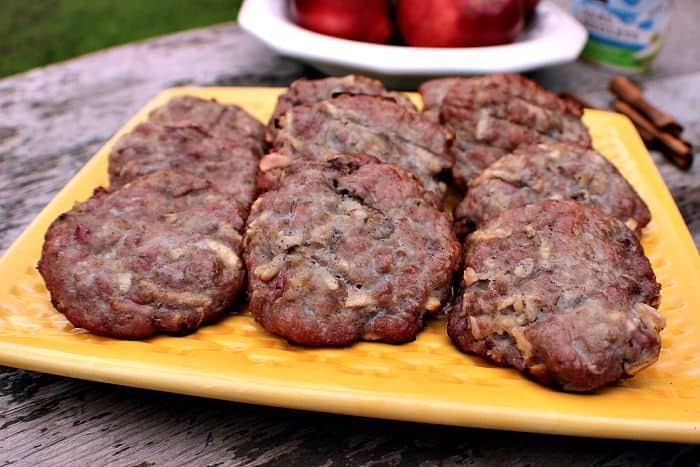 They offer a wide variety of products that include ground turkey, sausage, tenderloins, burgers and more. Turkey tastes best and is super tender when it is cooked SLOW! I put the bone in turkey breast (yes bones give the meat flavor) in the oven and when the internal temperature reached 165 degrees it was done! Almost like magic. Oh yeah it has one of those cute pop up timers, too. But always use your meat thermometer to check internal temperature to be safe! 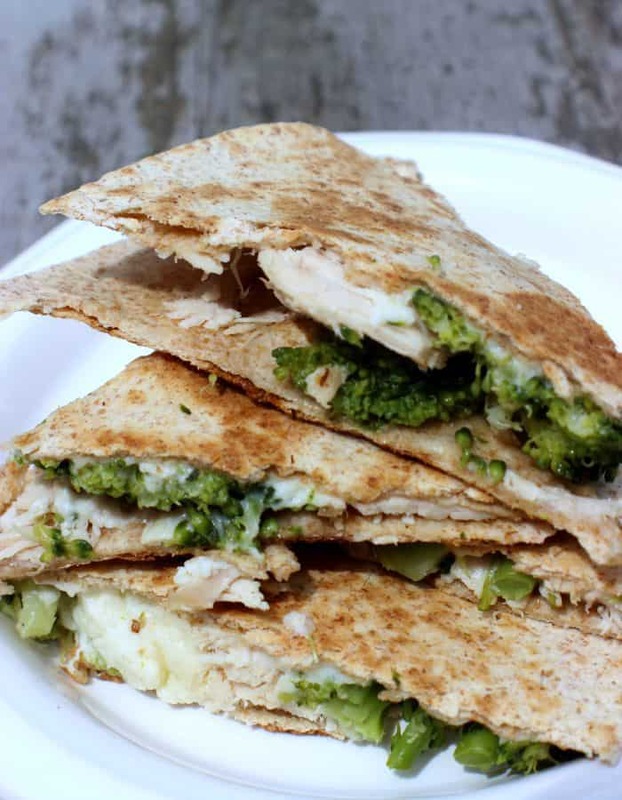 Enough of my ramblings let’s get down to what you actually came here for the Turkey Broccoli Alfredo Quesadillas recipe! Prepare your Alfredo sauce by melting 1 Tbsp butter in medium saucepan. Stir in 1 Tbsp flour stirring constantly until well blended. Turn heat to low and add 1 cup light cream or milk. Stir constantly until slightly thickened. Add 1/2 cup grated parmesan cheese and continue to stir until well blended. If sauce it too thick, slowly add more milk or cream. Spray 1 side of tortilla lightly with olive oil and place on a pan. 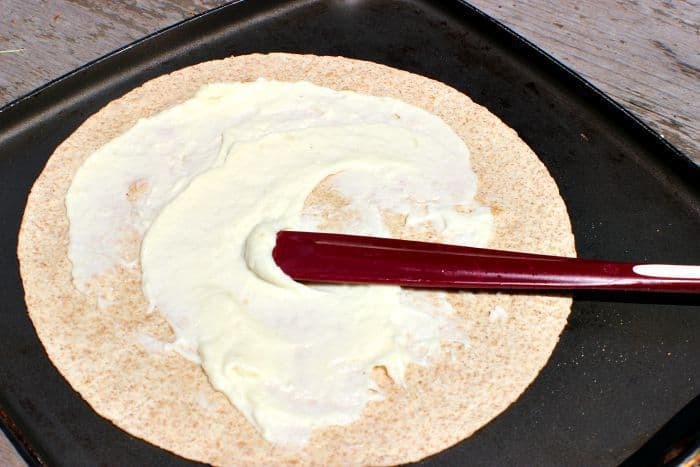 Spread Alfredo sauce on tortilla. Add turkey and broccoli to cover the tortilla. Drizzle with additional Alfredo sauce and sprinkle with garlic powder. Add top tortilla and press down. Spray with additional olive oil and flip when golden brown. (approx. 2 – 3 minutes). Brown on additional side for another 2 – 3 minutes. Transfer to cutting board. Allow to cool 2 minutes and cut in to pieces. Enjoy! I couldn’t make these fast enough, everyone loved them! Prepare your Alfredo Sauce or use jarred. Melt 1 Tbsp butter in medium saucepan. Stir in 1 Tbsp flour stirring constantly until well blended. Turn heat to low and add 1 cup light cream or milk. Stir constantly until slightly thickened. Add 1/2 cup grated parmesan cheese and continue to stir until well blended. If sauce it too thick, slowly add more milk or cream. Spray 1 side of tortilla lightly with olive oil and place on a pan. Spread Alfredo sauce on tortilla. Add turkey and broccoli to cover the tortilla. Drizzle with additional Alfredo sauce and sprinkle with garlic powder. Add top tortilla and press down. Spray with additional olive oil and flip when golden brown. (approx. 2 - 3 minutes). Brown on additional side for another 2 - 3 minutes. Allow to cool 2 minutes and cut in to pieces. Mmmm this looks both healthy and delicious! These look so delicious and easy to make. I love QUESADILLAS because they are so delicious. I really love your recipe and I will be making this soon! Thanks! Quesadillas are so versatile and my fave go to meal! This looks like a really good recipe to make for lunches. The turkey looks so fresh and with fresh broccoli I bet it tastes so good. Great recipe. Thanks for sharing. I will be passing this on to my friends and family. I pretty much love anything with Alfredo sauce. I’ve never thought to put in a quesadilla before but what a fun twist on it. This would be a great quick dinner on a school night for sure so I’ll have to try it. I can think of so many events and holidays this recipe could be great to prepare so not chained in the kitchen instead of being part of the family. I agree with you in that it is better to have family quality time then being in the kitchen while everyone else is enjoying themselves. I love that this company does not use antibiotics as we are finding out more and more how important that is for our health. Those pop up timers are great aren’t they? No guessing involved the turkey tells you when it is done. This looks amazing. My kids love broccoli and sandwiches so this would be perfect and a different type of change for them. I know my husband would love this too so I will for sure have to try making these for everyone at my house. I know they’ll be a big hit! Hi Michele, your post made my tummy growl, lol. 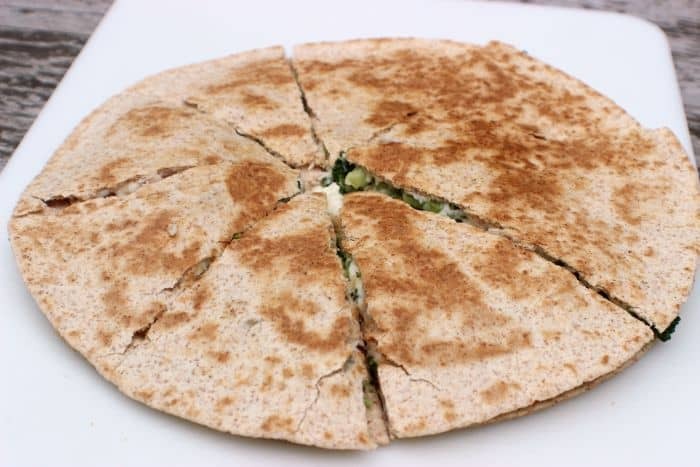 The quesadilla looks so good. I like the idea of adding broccoli to it to make it a complete meal. My toddler likes quesadilla. It never fails to get her eating when she gets too picky some days. I will definitely try this recipe. Thanks for sharing! Oh, this looks fun and festive. And, most importantly, easy. I’m so concerned with healthy food lately, so the fact that there are no antibiotics is pretty important. Plus, it’s pretty lean meat to start with so count me in. Now that’s a combo I hadn’t thought of before, but it sounds like it would be delicious. Add a bit of cheese and I’m set, maybe a splash of pepper too. A nice healthy but different alternative to regular quesadillas (which are a staple in our household!). 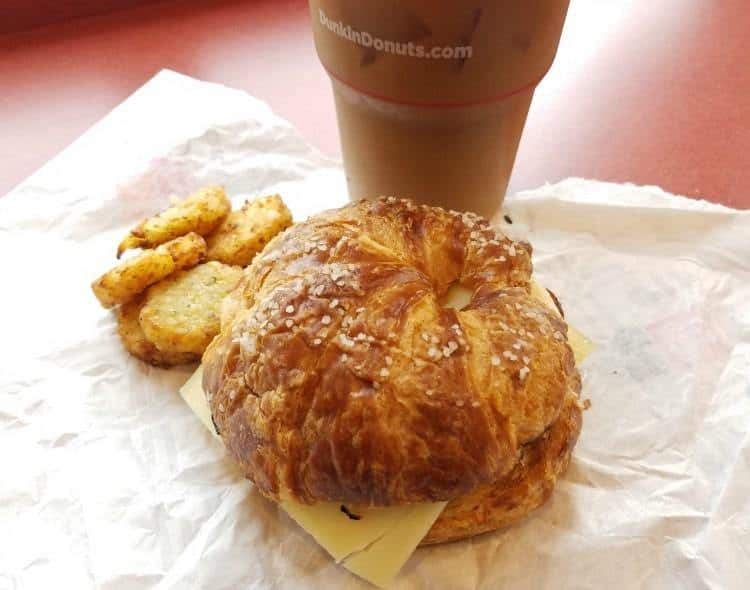 Wow, that looks healthy and delicious! My kids love tortilla roll ups for their school lunch and broccoli is their favorite vegetable. This is a great idea and I am so sure they will love this. I have never heard of this brand- I wonder if they are in the midwest at all. I hear you on the back to school food prep. It can be difficult on days that we moms are driving all our kiddos from one activity to the next. I like to have meals that only take about 30 minutes from start to finish. What an interesting twist on chicken alfredo. It’s one of my kids’ favorite meals, and I bet they’d love this version as well. I love that it has broccoli in it. Sometimes when I make the pasta version, I add frozen broccoli to my pasta so it cooks at the same time. Fast, healthy recipes are the best. I’ve never thought to do turkey with a broccoli Alfredo combination, just chicken. It sounds like turkey works great too! Thanks for the idea! These quesadillas sound awesome! Love that you used a homemade alfredo sauce and that turkey sounds outstanding! We make ours in the slow cooker and I’m definitely going to save some for these quesadillas next time. YUM! Your Turkey Broccoli Alfredo Quesadillas look delicious. Definitely a new spin on quesadillas. They are not only delicious looking but I am glad to have another healthier recipe that I could make. Love the combo here! Nicely done. thanks for sharing at FTAF!! I love quesadillas, but these sound especially good! Thanks for sharing at Merry Monday! I never would have thought of this! This sounds super yummy! 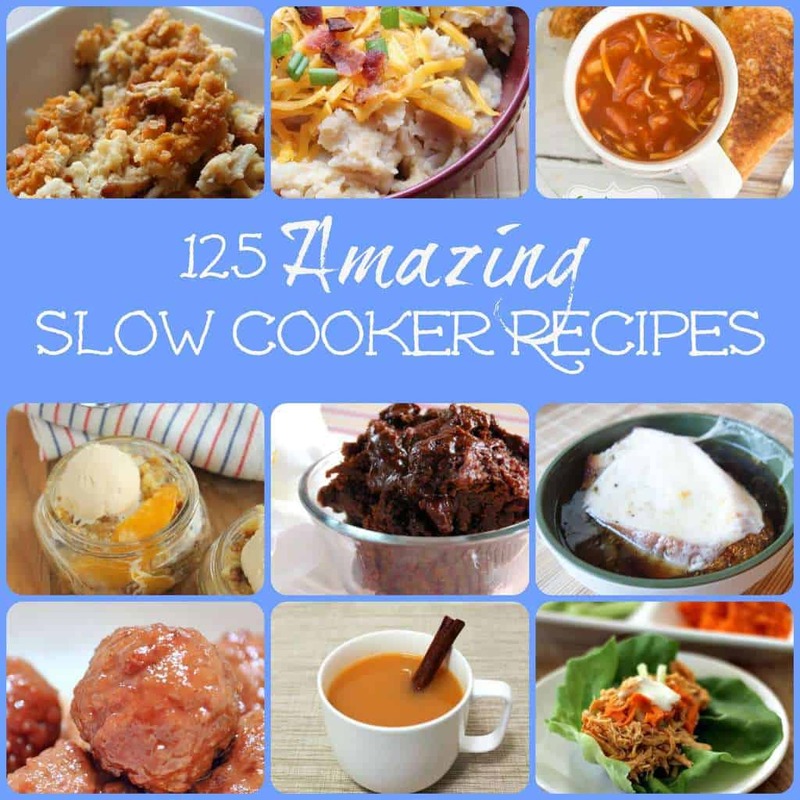 Thanks so much for linking up for the Best of the Blogosphere! Best of the Blogosphere Linky Party! These look delicious and definitely worth a try. Thanks.